Kevin Green joined Midtown Alliance in July 2011. Kevin has been a resident of the City of Atlanta for over 25 years and has been working for much of that time to advance livability and economic opportunity in the Atlanta region. Kevin was previously Executive Director of The Clean Air Campaign, a Georgia non-profit working in partnership with transportation management associations and more than 2,000 public and private employers, schools and universities to implement programs to improve air quality and reduce traffic. Prior to that, Kevin was Vice President of Environmental Affairs with the Metro Atlanta Chamber of Commerce, where he worked to implement initiatives to improve water resource stewardship, air quality, transportation and land use and development. During his tenure with the Chamber, Kevin managed public-private initiatives that resulted in the creation of the Metropolitan North Georgia Water Planning District – now managing water resources for a region of more than 5 million, and the Livable Communities Coalition, now a council of the Urban Land Institute, where leaders work collaboratively to advance smart growth in Atlanta. 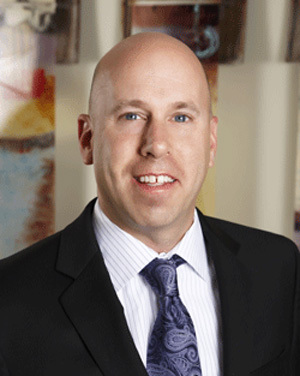 Kevin also practiced law in Atlanta for 10 years, most recently as a partner with Andre, Blaustein & Green, LLP. His litigation experience includes state and federal trial and appellate courts across the Southeast. Kevin has been named one of the “100 Most Influential Atlantans” by the Atlanta Business Chronicle for the last 6 years. He currently serves on the Leadership Atlanta Board of Trustees; the Board of the Atlanta Convention & Visitors Bureau, The Emory University Board of Visitors Executive Committee and is a member of the Rotary Club of Atlanta. Kevin graduated from James Madison University in 1986 and holds a law degree from Emory University. He is married to Karen and has two daughters. Barbara Bond-Gentry joined Midtown Alliance in April 2017. Barbara has had a distinguished career in senior leadership positions in both the nonprofit and public accounting sectors. For the last eight years, she has served as the Senior Director of Finance & Human Resources for Meals on Wheels Atlanta, an organization with a $5M annual budget providing meals, shelter, education, and community to Atlanta seniors since 1965. Prior to this role, Barbara worked as Finance and HR Director for Women Helping Women, a non-profit in Cincinnati Ohio. Barbara spent more than six years working in public accounting, starting her career as an auditor with Ernst & Young, LLP. Marcus Neville brings to this role almost three decades of advanced experience in law enforcement, security and related operations and management. Most recently, Neville was employed as a Captain with the Hall County Sheriff’s Department, where he served in a variety of leadership roles as Commander of the Criminal Investigations Division, Crime Scene Unit, Public Information Officers and the Hall County Detention Center. During his tenure with Hall County, Neville has focused on strengthening community relationships with law enforcement, with an emphasis on diverse communities that have traditionally not been at the table. Until 2014, Neville spent the previous 11 years managing security and operations under contract to the US State Department in Iraq and the US State Department and United Nations in Kosovo. In doing so, he managed more than 40 high-risk security and protection teams ensuring the safe movement of dignitaries and VIP personnel across high-threat areas, while supporting a staff of more than 1,000. He directed managers responsible for programs ranging from emergency preparedness, healthcare and intelligence analysis to training, facilities, equipment and logistics services. Prior to his work overseas, Neville was employed by the Hall County Sheriff’s office for 13, years, and started his career in 1988 with the University of Georgia Police Department. Neville earned his Master of Public Safety Administration at Columbus State University in 2017, and holds a Bachelor of Arts degree in Criminal Justice from Brenau University, and an Associates of Science degree from Young Harris College. 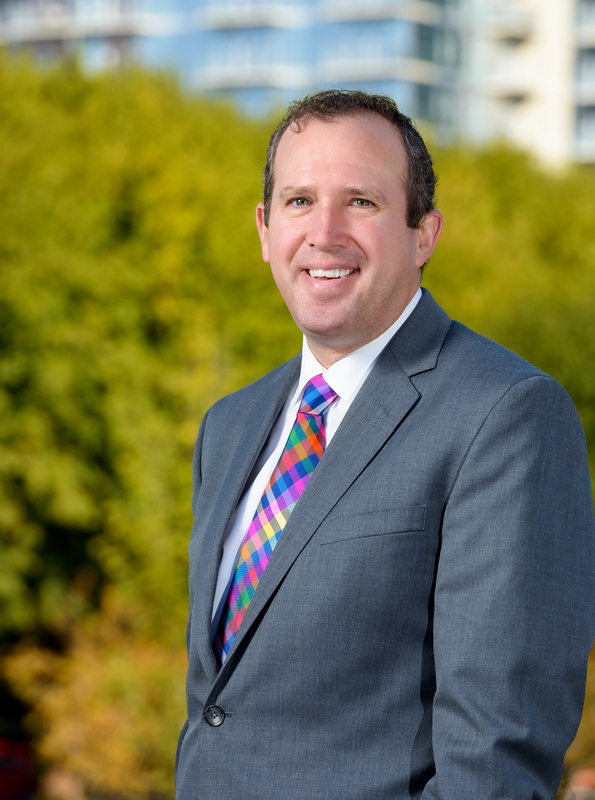 Dan Hourigan brings 14 years of diverse urban planning and program management experience in leading Midtown Alliance’s transportation & sustainability initiatives. 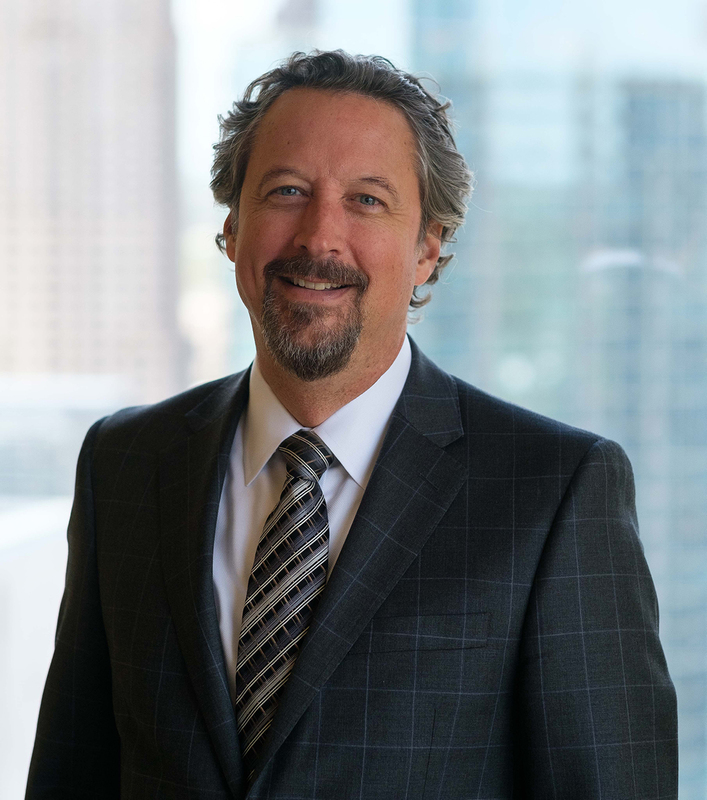 Dan is currently responsible for developing and implementing projects and programs that make Midtown highly accessible and “green.” Within this role, Dan led the planning efforts that created the Midtown EcoDistrict – the South’s first urban eco-district. Dan was instrumental in helping form the Midtown Improvement District and in launching Midtown’s transportation management association. Prior to his work with Midtown Alliance, Dan worked in marketing and logistics positions. Dan received a Bachelor of Science in Business Administration from the University of Dayton and a Masters of City Planning from Georgia Tech. Dan is accredited as a LEED Green Associate and is a graduate of the Regional Leadership Institute and the Midtown Leadership Program. 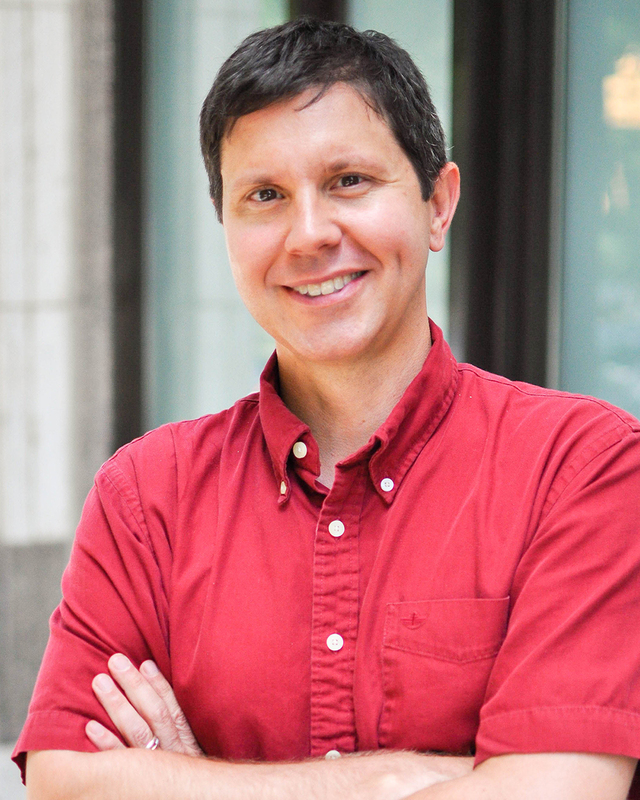 He is an avid cyclist and serves on the Board of Directors of the Atlanta Bicycle Coalition. Ginny Kennedy serves as Director of Urban Design where her primary responsibility is to guide new development in Midtown by raising the bar for design excellence consistent with the community’s vision and the Blueprint Master Plan. Ginny came to Midtown Alliance in 2009 and has more than 20 years of experience in architecture, planning and urban design. Working closely with members of the development community and in partnership with the City of Atlanta, Ginny provides development assistance and oversees the formal review process for all projects in Midtown’s two zoning districts – SPI-16 & 17. Over the last 10 years Ginny has been at the forefront of Midtown’s remarkable transformation into a vibrant urban center, providing guidance to 131 major projects including 6.6M square feet of new office, almost 14,000 new residential units and 1M square feet of new retail. Ginny also works on urban design initiatives and capital projects within the Midtown Improvement District. With efforts ranging from pocket parks to major enhancements to existing infrastructure, such as bridges and transit stations, Ginny brings a collaborative, multidisciplinary approach to creative place-making. Recent efforts focus on public art and programming to activate street life in Midtown and to engage the community. A native of Atlanta, Ginny holds a BA from Smith College and dual Masters Degrees from Georgia Tech in Architecture and City Planning. Cladie Washburn brings more than 13 years of proven experience in landscape architecture and project management to the Midtown Alliance. She has been a Midtown Atlanta resident since 2002 and is dedicated to improving and sustaining the quality of life in her neighborhood. Cladie is responsible for implementing Midtown’s capital projects (streetscapes, urban parks, bicycle infrastructure, and other urban enhancements) through project management, design, staff and consultant management, contractor and partner coordination, communications, and outreach activities. Prior to joining the Midtown Alliance in June 2013, Cladie worked for 10 years as Landscape Designer and Director of Operations at AECOM (formerly known as EDAW), a Fortune 500 company and the top design firm. She is a registered Landscape Architect in the state of Georgia and a published co-author. Cladie has been recognized for her leadership and organizational skills, attention to detail, and ability to deliver projects on-schedule and on-budget. Her project teams have celebrated numerous industry awards for design, masterplanning, and project delivery throughout the United States, including several Awards of Excellence from the American Society of Landscape Architects. Cladie currently serves on the Board of Directors for Biltmore House Condominium. When she isn’t focused on projects, Cladie enjoys time with her dog and boating with friends on the lake. She is an avid sports fan, particularly when rooting her alma mater, the University of Georgia Bulldogs, on in football. Brian has two decades of experience leading communications, marketing, PR and social media campaigns for non-profit organizations and blue-chip private-sector companies. Before joining Midtown Alliance, Brian worked with Points of Light to rejuvenate a national award program that originated out of the White House to recognize exceptional volunteer service. He previously served as Director of Communications at The Clean Air Campaign, leading public awareness strategies to reduce traffic and improve air quality in concert with Midtown Alliance's Midtown Transportation team and other transportation management associations in the region. Brian has also held corporate communications roles with Primerica Financial Services, BBDO Atlanta (a full-service advertising agency), and Agency180, a company he co-founded that provided graphic design and interactive media services for clients ranging from a local watersports retailer to an international candy manufacturer. Brian served on city council for the City of Pine Lake, where he helped manage a watershed restoration project funded through a $1.3 million Georgia Department of Natural Resources grant. He currently serves as a co-chair for PRSA Georgia's nonprofit special interest group and on the communications committee for the annual Madison Avenue Soapbox Derby in Decatur. Philip Rafshoon joined the Midtown Alliance as Director of Member Engagement in May 2016. A graduate of Georgia Tech, he began his career in sales with the NCR Corporation. From 1993 until 2012, Rafshoon owned and operated Outwrite Bookstore & Coffeehouse, a landmark welcoming space for Atlanta residents and an unofficial LGBT community center. He has been involved in a broad range of community organizations and has served on the advisory committee of the American Booksellers Association. In 2013, he became Program Director of the AJC Decatur Book Festival, one of the largest book festivals in the country. Over the next three years, he oversaw a significant expansion of the festival footprint and helped grow the festival in diversity, attendance, scope, and visibility. Philip has received numerous awards, including the Human Rights Campaign Humanitarian Award and two Atlanta Phoenix awards from the Mayor's Office. He served as a corporate co-chair of the 2004 AIDS Walk Atlanta and received the Community Service Award from AID Atlanta in the same year. He served on the City of Atlanta Police Chief Search Committee in 2010. The following year he was awarded the Atlanta Gay Chamber of Commerce Lifetime Achievement Award, as well as the Ivan Allen Alumni Legacy Award from the Georgia Tech College of Liberal Arts. Philip lives in Midtown with his partner and enjoys reading, running, biking, and all of the aspects of living in this great urban environment. Lillian believes stories have the power to influence, challenge, connect and delight. 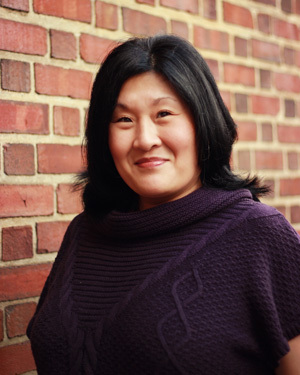 As Content Producer for Midtown Alliance, Lillian works to find the stories in Midtown that matter and share them in compelling, creative ways. 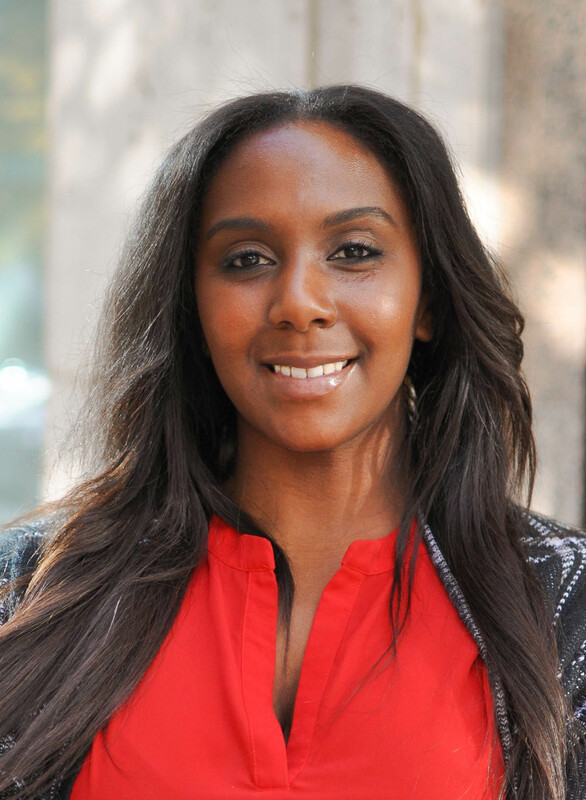 Prior to joining Midtown Alliance in August 2018, Lillian spent 6+ years in digital marketing, content development and graphic design, working for both Fortune 500 corporations and boutique marketing firms. In 2014, Lillian conceived and co-founded Speakcheesy, a gourmet grilled cheese food truck concept that is now an active late-night and catering food option in her hometown of Rome, Georgia. Lillian is drawn to the types of marketing that capture real stories – an instinct derived from her roots as a journalist. 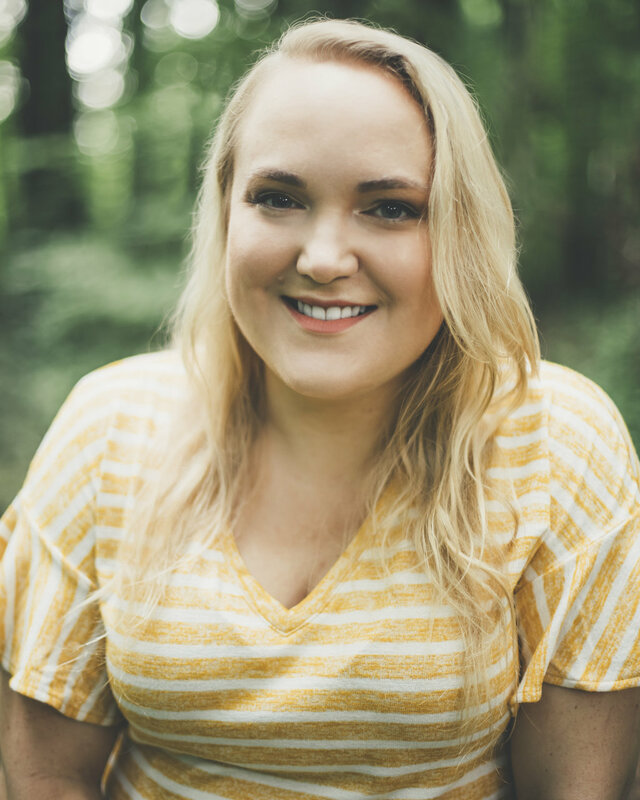 Lillian graduated with a degree in journalism and photography from Mercer University where she served two years as editor in chief of the student newspaper. Lillian has been published in the Macon Telegraph, Rome News-Tribune, amNewYork, V3 Magazine, BORO magazine, among others. Lillian brings that same journalistic approach to marketing and communications in the nonprofit sector. Lillian is happiest when she’s creating, as both a marketer and as a performer. You can spot her acting and singing on Atlanta stages or exploring her other personalities during improv class at Dad’s Garage. Kathleen joined Midtown Alliance in 2002 after spending 5 years at the Arthritis Foundation, Georgia Chapter. Having grown up in the Virginia-Highland’s neighborhood, she was eager to join the organization that was the driving force behind Midtown’s revitalization. In her spare time, Kathleen enjoys reading, watching movies and spending time with family & friends. Karl Smith-Davids joined Midtown Alliance in August 2017 as a Senior Project Manager after over 15 years in progressive architectural and city planning practice. After receiving his degree in Architecture from the University of Michigan he assisted with the design of multiple development projects including those found in Atlanta. Karl then earned his Master’s in City and Regional Planning from Georgia Tech and worked for the City of Atlanta serving as the chief liaison and lead zoning reviewer to the City’s most prominent Civic Improvement Districts. In that role he ensured that over 500 new developments were consistent with community visions as regulated by zoning. 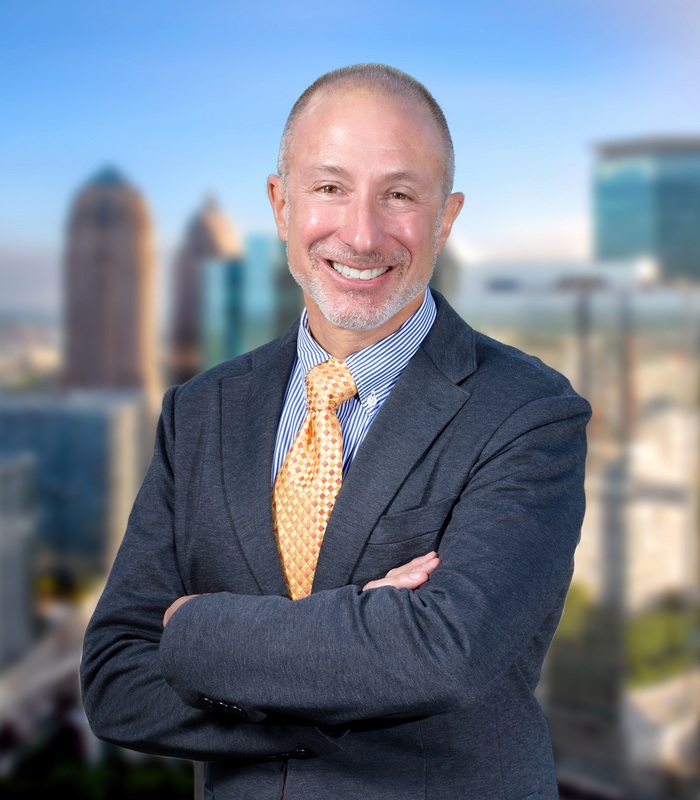 During this time Karl also was the lead author of divergent zoning legislation for construction of residential structures and parking structures as well as for each of the most significant geographic areas of Atlanta- the BeltLine, Downtown, Midtown and Buckhead districts. As a result of this work, these areas were recognized by the Georgia Planning Association in 2008 for the Best Planning Document: Large Community - Downtown - and in the 2016 Great Places in America Award - Midtown - by the American Planning Association. Along with continued participation in the American Planning Association and Congress of New Urbanism he will strive to continue to advance Midtown ahead. Forrest Rose joined the Midtown Alliance as a Transportation and Sustainability Project Manager in June 2017. Prior to joining Midtown Alliance, Forrest was an Urban Planner at the City of Atlanta and a Transportation Planner with the Georgia DOT. In those roles, he coordinated with transportation planning efforts and implementing safe, reliable, and alternative transportation plans, projects, and programs. Forrest graduated from Kennesaw State University with a Bachelor of Science in Political Science and holds a Master of Public Policy from Georgia State University. Forrest and his wife live in the Virginia Highland neighborhood. He enjoys swimming, biking, and running all over the southeast. Emily Schwimmer joined Midtown Alliance as Transportation Project Manager in May 2018. Prior to joining Midtown Alliance, Emily worked for five years in the San Francisco Bay Area as a consultant for public infrastructure projects. She led public affairs and government affairs for landmark projects, including a freeway replacement project at the base of the Golden Gate Bridge, San Francisco’s portion of California’s High Speed Rail, and flood control projects in Marin County. Emily later joined a local award-winning architecture and engineering firm that specializes in bicycle and pedestrian infrastructure. As a project manager, she led multi-disciplinary teams through the conceptual design and final engineering phases and coordinated state and federal approval processes for these projects. Her primary project, the Lake Merritt to Bay Trail Connector, won Architizer’s A+ Award in 2016. 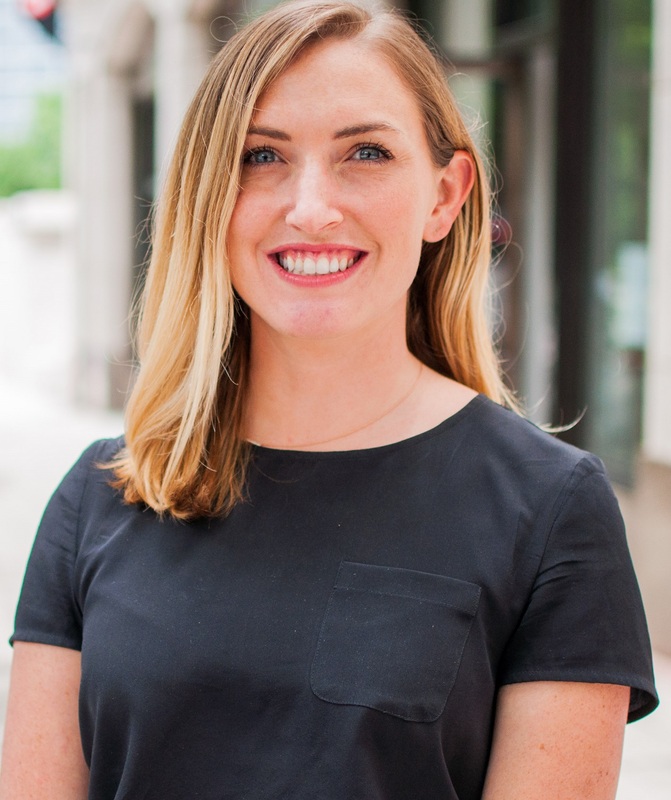 Emily recently completed her Master of Urban Planning from Harvard’s Graduate School of Design where she focused her studies on infrastructure and real estate design and development. She also has a Master of Science in urbanization and development from the London School of Economics and a Bachelor of Arts in global studies and geography from the University of California, Los Angeles. Emily and her husband live in the Cabbagetown neighborhood. Emily enjoys running, biking, exploring Atlanta, and going to the dog park. 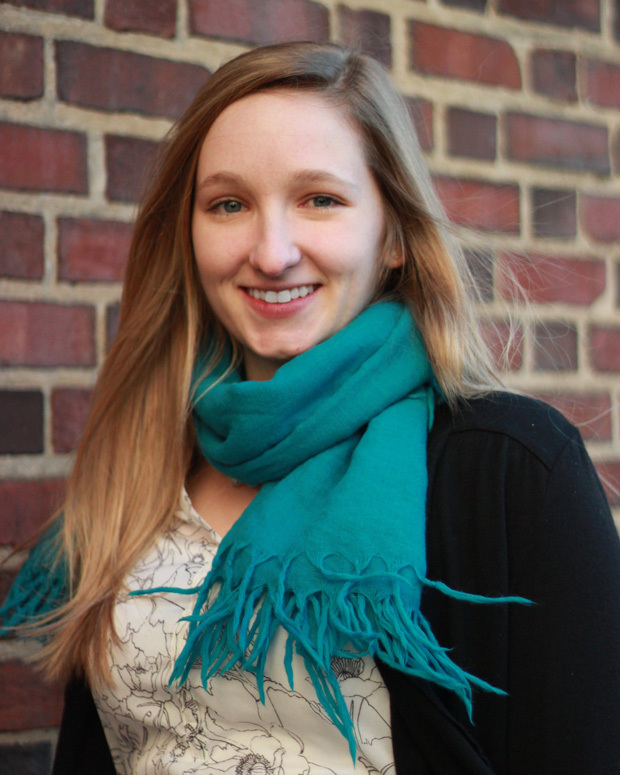 Lauren Bohn joined the Midtown Alliance team in April 2015 as Associate Project Manager of Urban Design. In her role, Lauren assists with our long-range planning, management of the Development Review Committee (DRC), and facilitation of our public art and street activation program. Lauren has already demonstrated her versatility at the Midtown Alliance having been the only person to have successfully worked as an intern in marketing and communications, transportation, and planning. Lauren has a Masters of Public Administration with a concentration in Nonprofit Management as well as Planning and Economic Development and an undergraduate degree in Political Science and Sociology with a minor in Dance. As an Atlanta native, Lauren has witnessed Midtown’s transformation first hand and is thrilled to work alongside her Midtown Alliance colleagues to contribute to a vibrant and wonderful Midtown, Atlanta. 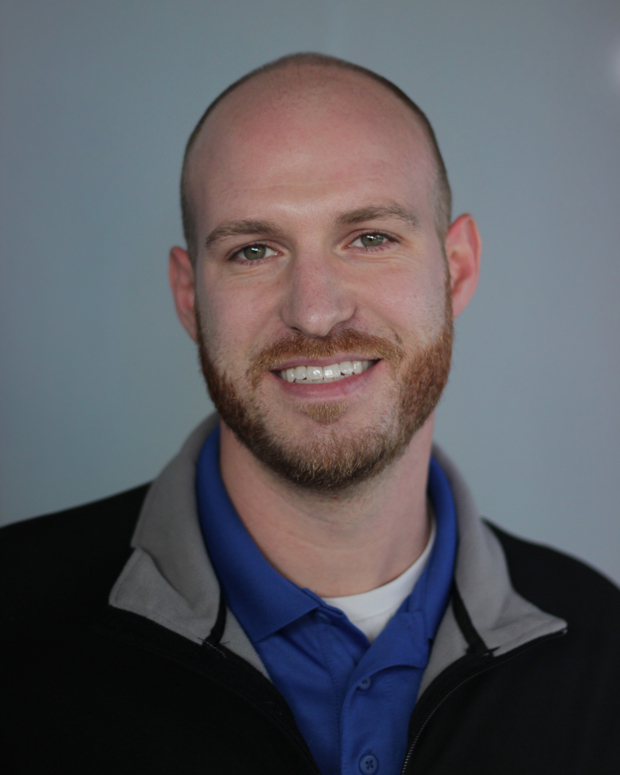 Kyle Guess joined Midtown Alliance through ABM in August of 2014 as Project Manager for Midtown Green. Kyle is responsible for managing the Midtown Green Team that serves to enhance the aesthetic appeal, cleanliness and public safety throughout the Midtown Improvement District. Kyle graduated from Clemson University with Bachelors in Horticulture with emphasis in Turfgrass Management. Prior to Joining Midtown Alliance, Kyle worked 8 years in commercial landscape management and was a member of the (GAUC) Georgia Urban Ag Council. When not working, Kyle enjoys the outdoors and spending time with his dog. An Atlanta native, Laura Troutt returned to Atlanta in 2004 after two and half years in Prague, Czech Republic. Laura joined the Midtown Alliance in September 2014. She brings over 21 years of management, administrative and advertising experience. In her role, she serves under the Director of Public Safety as Programs Administrator for Public Safety and Landscape Maintenance for Midtown Blue and Midtown Green. Laura previously served with the City of Morrow Police Department as the Administrative Assistant to the Chief of Police and, prior to that, as Traffic Manager with Blue Sky Agency in Atlanta. 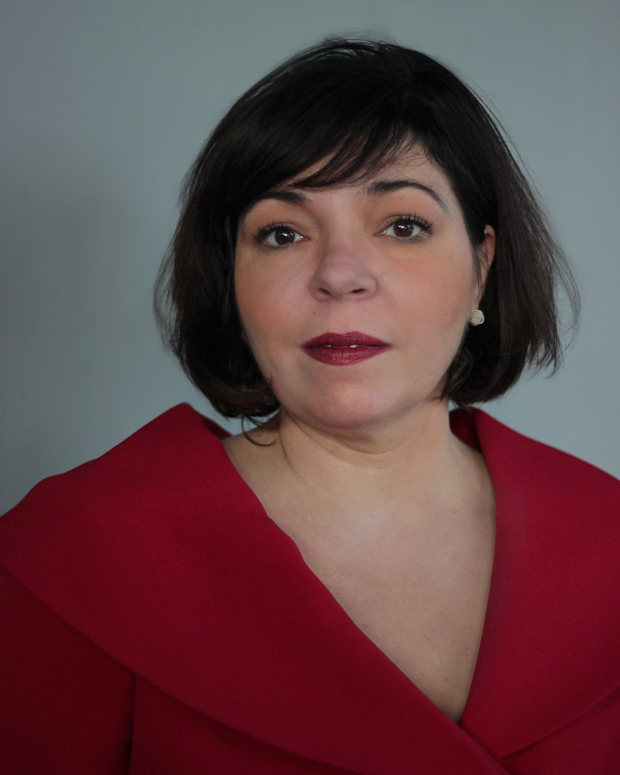 She also served as an Executive Assistant for BellSouth Cellular Corp. After working and living in the Midtown area over the years, Laura is enthusiastic about contributing to the ongoing beautification, safety and vitality of the community. She is an avid Atlanta Braves fan and enjoys traveling in her spare time. Katie joined the Midtown Alliance team in January 2017 as Senior Program Manager of Midtown Transportation. Her duties include promoting clean transit through consultation services and customized commute programs. Before finding her home at Midtown Alliance, Katie worked with Lucror Resources, a redevelopment fund focused on adaptive reuse projects in urban settings. Her first project with Lucror, FlatironCity, was nominated for best adaptive reuse project in Atlanta (2016), won ULI Atlanta's 2017 Project of the Year award, and led to her feature as one of "Atlanta's Up & Comers" by the Atlanta Business Chronicle. Katie has an abiding passion for creating and fostering community initiatives throughout Atlanta and volunteers with a number of community organizations. She lives in downtown Decatur with her wife and and their pup, Eleanor. When she isn't working, you can usually find her enjoying the Decatur square or tending to her vegetable garden in the Scott Park Community Garden. Email Katie. Desireé Brooks joined the Midtown Alliance/Midtown Transportation team in July of 2016. 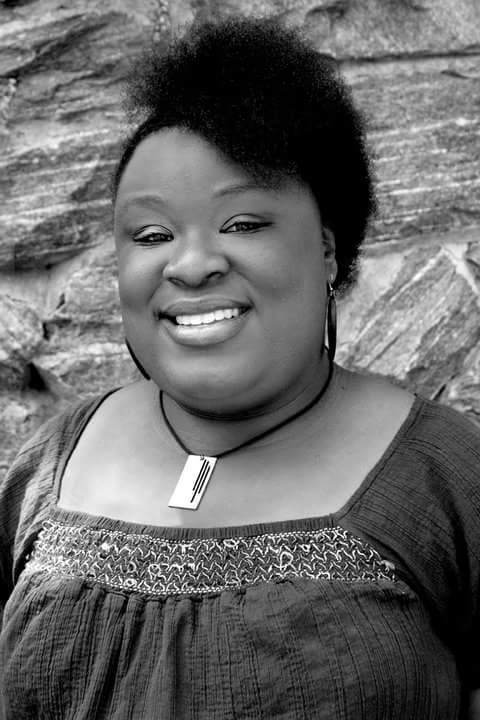 A graduate of the Savannah College of Art and Design (Class of 2005), she has had a host of fun and interesting tourism positions that ranged from Tour Guide for Historic Homes in Savannah, Georgia and Atlanta to Customer Service Specialist for organizations such as the Atlanta Botanical Garden and now Midtown Transportation. Having lived and worked in Midtown for many years, she is currently a resident of Decatur, Georgia. A writer and actress, Desireé uses her spare time to; work with her fiancé, Tim, on their first book, spend time with her Tribe and be immersed in great music and classic TV shows that inspire. Email Desireé. Debra “Debbie”joined the Alliance in 2006. In her role, she serves as administrative support to the Executive team. Previously, Debra worked for General Electric for over 15 years. In her spare time, Debra enjoys an active church community and her beloved AKA sorority. Whitney joined the Midtown Alliance team in November 2017 as the Office Administrator. 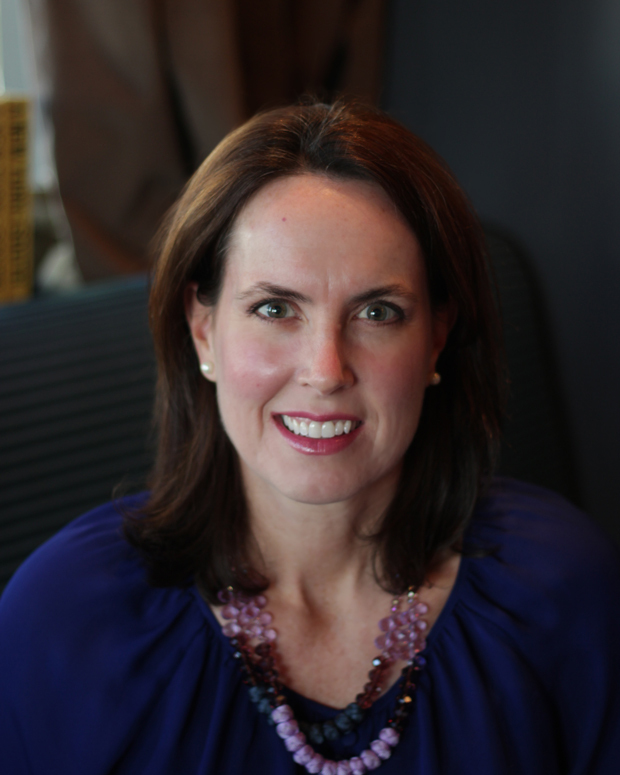 In her role, supports Midtown Alliance’s Executive team and staff. 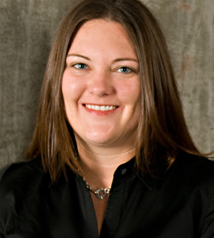 Whitney has a background with over fourteen years of experience in administration and customer service. For the last two years, she has served as the Administrative Assistant for Marta where she supported the Executive Management Team and the Office of Custodial and Landscape Services. 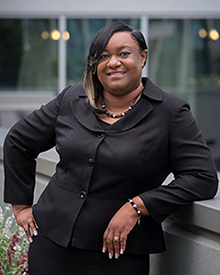 In addition, Whitney is also the NPU-E Administrator, where she serves as the liaison between the City of Atlanta and the NPU-E neighborhoods. 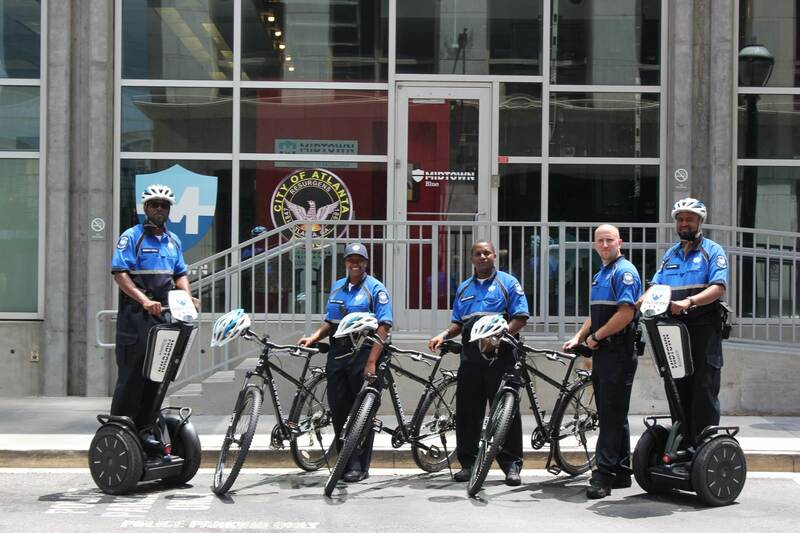 Kristian McClendon joined Midtown Alliance through our new Public Safety Officer program in May 2015. In 2009 she moved to Marion, AL where she received her Associates degree in Military Science and commissioned as a 2nd Lieutenant in the United States Army. Motivated to continue her education, in 2012 she moved to Montgomery, AL and attended Auburn University Montgomery and received her Bachelor’s degree in Criminal Justice and Public Safety. In 2014 she was promoted to 1st Lieutenant and now resides as the Detachment Commander at her unit, where she is in charge of 60 plus soldiers. On her off time she enjoys finding ways to better the community and bring positivity to everyone. Ms. McClendon brings to Midtown Alliance her leadership skills and knowledge. Throughout all of her hard work and dedication she always believes that, “Anything is possible if you try”. Before joining Midtown Alliance in May of 2015, Reginald Woodall worked for a number of years for a diverse range of organizations, including the United States Army where he was a Military Police Officer and served in Operation Desert Storm. He then became a member of the National Guard 78th MP Company in Monroe, Georgia. After serving in the military, Reginald worked for companies such as Bank of America, Walden Security and Murray Guard. Reginald's experience and dedication will be an excellent asset to our public safety team. A perfect day for Reginald would include a good cup of coffee and unlimited fishing. Ashley Register joined Midtown Alliance through our Public Safety Officer program in 2017. She has her Bachelor’s degree in Mass Communications, Public Relations Management from Clark Atlanta University. For more than eight years she has worked with nonprofits, building their branding and public engagement as a freelancer. Ashley spends her free time reading and finding new ways to express herself creatively. Marwesi Woodard joined Midtown Alliance through our new Public Safety Officer program in May of 2015. Marwesi has more than seven years of experience in the security field. He is a 10 year military veteran earning many awards throughout his career. He is currently serving in the US Army National Guard holding the rank of Staff Sergeant. In 2007, he earned his Bachelor of Science degree in Criminal Justice and Correctional Services from Jackson State University. He is currently pursuing his Master’s Degree in Clinical Psychology from Troy University. He has been deployed overseas twice once to Iraq and the other deployment to Afghanistan. Mr. Woodard is a firm believer that hard work pays off in the end. Desmar Burton joined Midtown Alliance through the Public Safety Officer program in 2017. He’s currently working on his bachelors in information technology. In 2012, Desmar moved from New Jersey to Atlanta, and for the last six years, he’s been working in security and customer service. Desmar enjoys spending time going to concerts, sporting events and festivals with friends. The perfect day for Desmar would be watching the Eagles win Super Bowls on a Sunday evening…FLY EAGLES FLY!